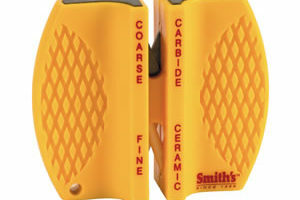 Smith’s unbreakable Diamond Stone is perfect for sharpening your knives and hooks. 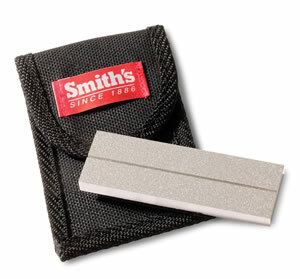 The 3″ stone is coated with medium grade diamonds and has a built-in hook sharpening groove. 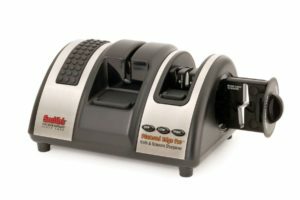 Since the diamonds are the hardest substance known to man, it provides an aggressive cutting feature that will sharpen all types of steels, quickly and easily. 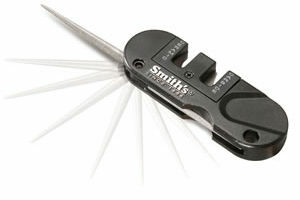 It comes with its own fabric storage pouch, which features a fold over flap and belt loop.